New Football Rule Changes – Why? Or Why Not? Since the GAA Central Council gave the green light for five rule changes in football this past Saturday, the to-ing and fro-ing has as always become frantic. Players past and present, officials, pundits and journalists have all thrown more than their two cents. Initially, following the Ard Chomhairle meeting, the rule changes were noted to be experimented during the pre-season competitions and the Allianz Football League. However since the announcement, representatives from both the GAA and the GPA have met, and it has now been confirmed that there will be an opportunity to review the proposals ahead of the Allianz Leagues. The next Ard Comhairle meeting is due to take place on January 19th. That’s only one week prior to the beginning of the 2019 Football League. Four proposals for new rules were agreed and an amended version of the kick-out proposal was also given the go ahead. But how will these changes affect the game, and will they bring a positive spin to football in the future? Let’s look at the the five changes that were proposed and approved. Basically since 2011 there has been a massive increase in the number of hand-passes per game, as many 100 more to put it into perspective. In this year’s All Ireland Final 75% of passes in the game were by way of a had-pass. The GAA feel that the percentage is quickly heading towards 80%, and as a result this rule change was merited. On the other side of the argument however, the GPA conducted a survey of players. And as much as 96% of the poll was against the rule change. Kerry’s Kieran Donaghy recently admitted to RTE Sport that teams weren’t just going to throw the ball up for grabs just because they’d used three hand passes. Carlow Manager Turlough O’Brien said following a recent challenge between his side and UCD that obviously there was more kick passing and surprisingly more long kick passing than expected. The Black Card rule, since it’s introduction has probably come up for more debate and cristicism than most other rules. In last year’s Allianz Leagues, 92 cards were shown over 111 games. The GAA admit the assessment of the Black Card is having a positive impact, but greater consistency is needed. The also argue that the introduction of the Sin-Bin will discourage foul play and help behavioural change. Less opposition on this rule change than the Hand-Pass proposal, and 63% of players surveyed by the GPA were in favour of the rule. The only question marks are around the execution, a bit like the introduction of the black card itself. One point raised was the 10 minute period will run through injuries and altercations, with the clock not being stopped. Some feel teams will look to exploit that, meaning the sin bin may have less impact. Teams could essentially go blanket defence and close up shop for 10 minutes. Eight years ago, 86% of kick-outs went beyond the 45 metre line. Which is staggering when you look the figure being as low as 53% this year. An initial proposal for all kick-outs to travel beyond the 45 metre line was deemed to negate the kicking skill that has been honed by most inter county keepers. Particularly the likes of Dublin Keeper Stephen Cluxton. 63% of player surveyed were against the original proposal. But it’s likely now that since the amendment that figure will drop. Technically this goes together with the hand-pass restriction to tackle the falling number of kick passes in the current game. The association say if something isn’t done, the current trend will see the kick pass drop to around 90 per game against an average of 350 hand passes. More than half the GPA were in favour of this rule change. But the policing of the rule could become problematic. A lot of people pointed out the extra pressure on a referee. If a kick is either just shy of or just slightly over 20 metres. 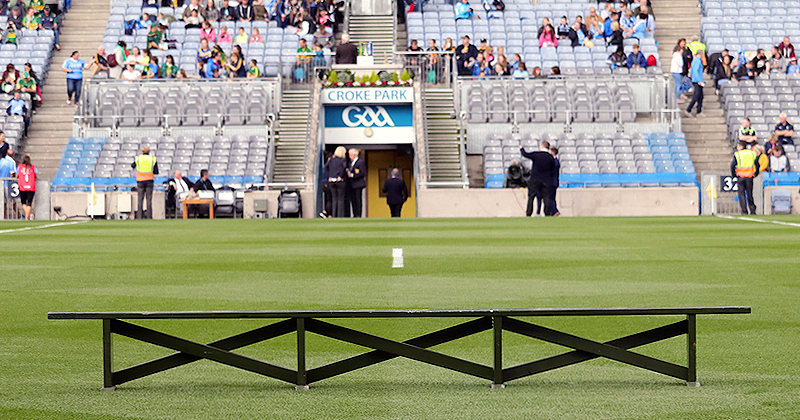 But the GAA have said that early feedback from officials has been positive. While there is certainly scepticism around this rule, the GAA are encouraging people to approach the rule optimistically and positively. The GPA and it’s member have been vocal in their concern of this rule change too. 63% of people surveyed were against this change. Many, Like DIT coach Stephen O’Meara believe it will see teams flooding played back on opposition ball. And making themselves favourites to create a turnover. 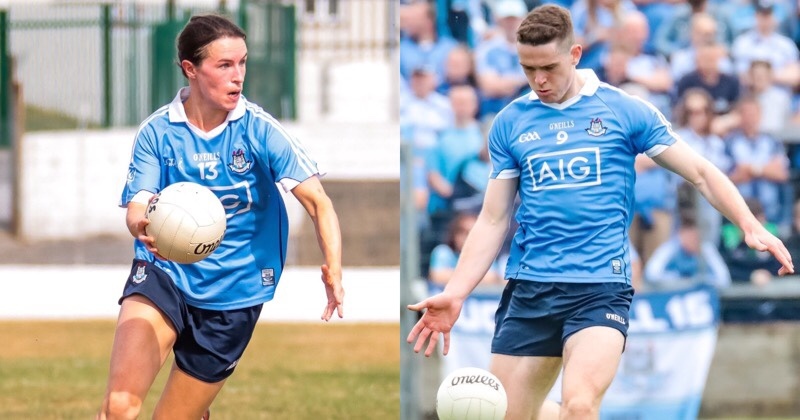 With just over a week to go before the Inter County Pre-Season commences, there will of course be plenty more debate on these changes before ball has been kicked.